Throughout 2015, Pulmonary Fibrosis News reported on studies in the field of pulmonary fibrosis care, treatment and disease management, as well as on events related to the condition. As the year comes to an end, here are the 10 articles most widely read by Pulmonary Fibrosis News readers, patients, caregivers and their loved ones, each with a brief summary explaining their relevance. A Pulmonary Fibrosis News interview with Dr. Steven Nathan and Dr. Ben Kramer on the promising findings reported at CHEST 2015 regarding the anti-fibrotic drug Esbriet (pirfenidone, Genentech, Roche) in the treatment of pulmonary fibrosis, and also on future plans for this therapy. Esbriet has been shown to preserve lung function and slow disease progression. Cutting-edge research in the field of tissue engineering made possible the generation of new lungs in the laboratory using cadaveric lungs and healthy stem cells. Scientists believe these lungs are suitable for both transplantation and as predictive models for biomedical research in respiratory conditions such as idiopathic pulmonary fibrosis (IPF). 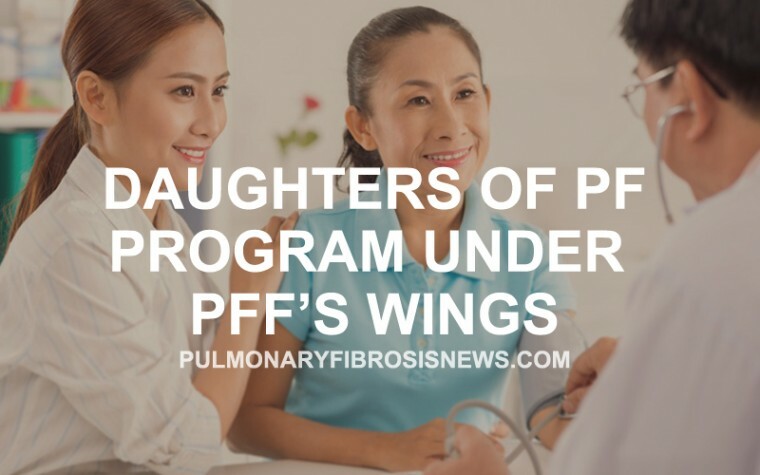 This article reports the Pulmonary Fibrosis Foundation (PFF)’s Medical Advisory Board recommendation that patients approach with caution and skepticism therapies based on stem cells for the treatment of IPF. PFF believes that the impact of such therapies in humans is still not clear, and that more clinical trials should be conducted to rigorously evaluate the safety and efficacy of stem cells therapies in the management of IPF. 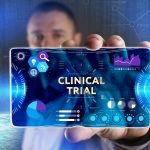 The Foundation emphasizes that, at this point, patients should only engage stem cell therapies through participation in approved clinical trials. A study reports that the drug triciribine can stop the progression of fatal respiratory diseases like pulmonary fibrosis and pulmonary hypertension in mice, and it may even be able to reverse some of the damage induced to lung tissues. 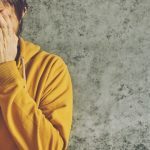 The finding is especially relevant since the average life expectancy for people with these diseases is only about five years after their diagnosis. 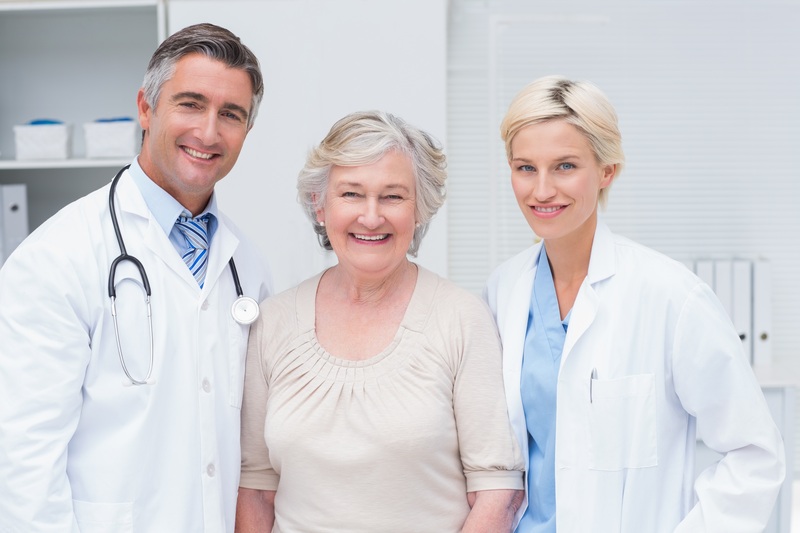 PBI-4050 drug, ProMetic Life Sciences’s leading anti-fibrotic drug candidate, was approved to undergo evaluation in Phase 2 clinical trials in patients with IPF. In preclinical trials, PBI-4050 was shown to significantly red uce lung scarring (fibrosis) and improve lung function in animal models. 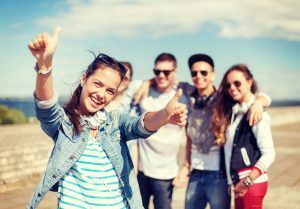 A Phase 1 clinical trial in healthy volunteers found the drug to be safe and well-tolerated, with no serious adverse events. Genentech presented new clinical trial data on Esbriet (pirfenidone), one of the FDA-approved drugs for IPF treatment, at the 2015 ATS Conference. Esbriet was shown to have a remarkable safety, tolerance and efficacy profile in IPF patients, significantly reducing their loss of lung function and decline in physical capabilities. Importantly, Esbriet reduced all-cause mortality by almost 50% when compared to a placebo drug. Esbriet (pirfenidone) has been shown to slow lung function decline and to increase survival in patients with IPF. Now, researchers reported that the therapeutic combination of oral pirfenidone and inhaled N-acetylcysteine (NAC) is able to reduce even further the rate of lung function decline and to improve progression-free survival in patients with advanced stage IPF, in comparison to treatment with pirfenidone only. 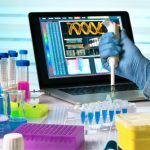 This study looked into a new, quick and simple method to produce stem cells from adult lung tissues, a technique that could be relevant for the treatment of pulmonary fibrosis through lung regeneration. The method is based on the use of a three-dimensional (3-D) cellular structure to grow stem cells forming 3-D lung spheroids. Studies in mice models of pulmonary fibrosis validated this lung spheroids technique, as the animals exhibited a decrease in inflammation and fibrosis. A study reporting a rare case of a woman with progressive aggravation pulmonary fibrosis secondary to an overlap syndrome with rheumatoid arthritis, scleroderma sine scleroderma, and anti-neutrophil cytoplasmic antibody (ANCA) associated vasculitis. Researchers characterized this case report and discussed prognostic factors, histology and radiographic features of the condition. Patients who have a combination of pulmonary fibrosis and other syndromes usually have a poorer prognosis. This article focused on a study providing a better understanding of the challenges faced by IPF patients and their caregivers, which could help in the development of stronger supportive care and could also improve the patient’s quality of life. 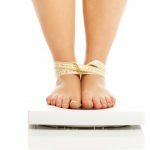 Issues like a proper diagnosis, loss of a particular lifestyle, and problems in disease management were reported by the patients. 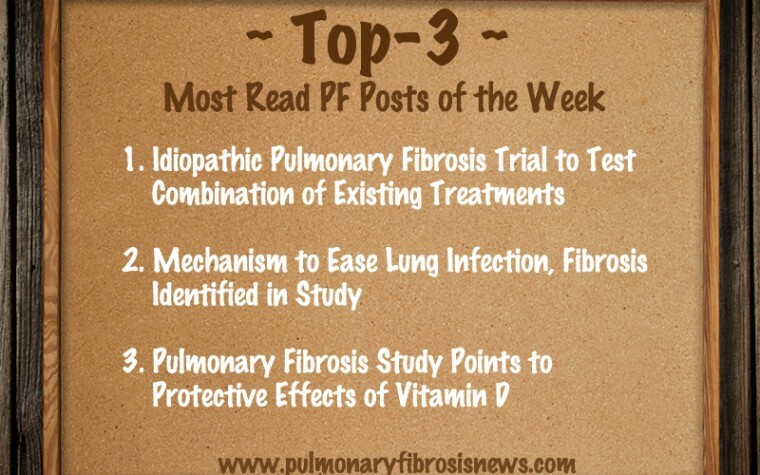 More insightful news and discoveries in pulmonary fibrosis are expected in 2016, especially regarding new therapeutic approaches such as stem cell therapies, and further studies with the two FDA-approved drugs Esbriet (pirfenidone) and OFEV (nintedanib). Patient care, needs, and well-being are also topics of increasing interest among the scientific and medical communities, and new studies and advances in this wellness-related field are expected for the next year. Pulmonary Fibrosis News will continue to follow developments that might ultimately help improve the lives of patients living with pulmonary fibrosis. Tagged CHEST 2015, clinical trial, Esbriet, lung spheroids, N-acetylcysteine, PBI-4050, PFF, pirfenidone, Stem cells, tissue engineering, Top 10, triciribine.